Manly Beachside Apartments are one of the few properties in the area that caters for budget conscious travelers, also offering the conveniences of fully self-contained apartment accommodation. So, if you?re looking for clean, comfortable and private facilities at an affordable price in a fantastic but quiet location, then the Manly Beachside Apartments is an excellent choice. Situated only two blocks back from the golden sands of the magnificant Manly Beach, the Manly Serviced Apartments offer great value for money accommodation close to everything good about Sydney's north shore. All types of travellers can take advantage of the discount accommodation at the Manly Beachside Apartments, as well as the range of modern amenities including andutdoor swimming pool. Enjoy a morning stroll along the beach, a coffee at one of the many beach-front cafes, rollerblading and an icecream along the promenade, a walk through the famous Sydney Harbour National Park to North Head, or a walk along the Sydney Harbour waterfront to the Spit-Bridge, and at the end of it come home to your quiet self contained apartment. Our goal is to ensure that your stay in Manly is comfortable and enjoyable and we look forward to the opportunity of hosting you. 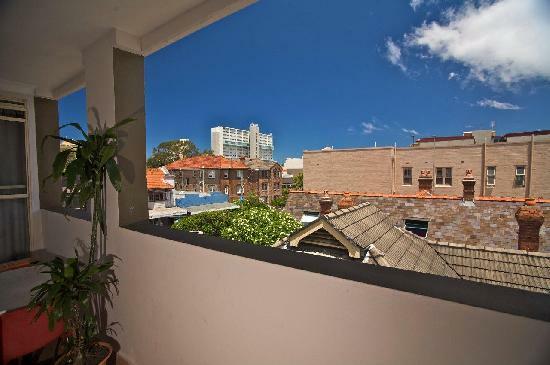 Nearby Attractions : Manly is always fun with a relaxed beach vibe and culture. We can arrange surf lessons, go kayaking around our harbour, visit the aquarium followed by yum cha. Try beach volleyball and parasailing, or simply collapse on the sand with an Italian ice cream. Studio Apartment For 2 Guests : Sleeps up to 2 guests on 1 Queen Bed. Studio Apartment For 3 Guests : Sleeps up to 3 guests on 1 Queen & 1 Single Sofa.